One of the biggest problems people come across in their plumbing involves clogs and backups in their drains. This is especially the case with kitchen drains. 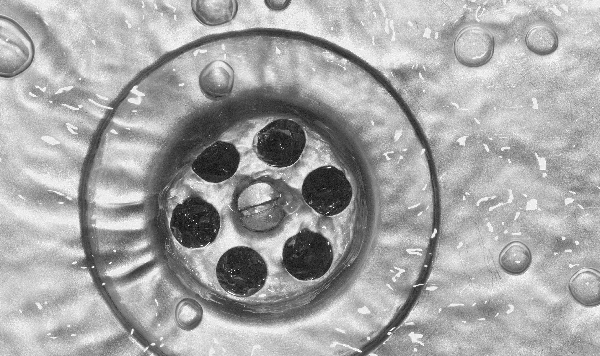 While it might sound convenient for you to throw cleaner down your kitchen drain, you will only hurt your plumbing system when you put the wrong things down there. Buildups can start to develop when you put too much stuff into your kitchen drain. In particular, items might turn into pasty materials and stick onto the sides of your pipes. This in turn will make it harder for you to keep your kitchen drain under control. Some items might also attract grease. This is a solid material that can harden and make it difficult for your pipes to be clear. As these problems develop, your plumbing system will become backed up. It will be harder for items to go through the drain well. This can especially be problematic when you consider how many dishes your family goes through daily. What Should You Avoid Putting Down There? Coffee grounds can easily become backed up in your drain. They can stick together rather easily and cause some serious issues. Any kind of grease will harden up and stick into your drain. This includes grease that comes from melted fats from various meats you prepare. You’ll have to drain your grease into something to let it harden so it can be disposed of in an alternate fashion. Egg shells will create granular waste that will connect to other forms of waste. This makes it harder for the piping in the drain area to stay clear. Anything that is absorbent should not be sent down your kitchen drain. These include cotton balls, small bits of napkins or anything else that can take in water and other items. These will add extra weight into your drain system. All of these items can be disposed of with the rest of the trash in your home. Some items, particularly coffee grounds and egg shells, can be composted. These can be added to your garden or other space that needs nutrients for growing outside of your home so it will be easier for you to keep that space comfortable. Be careful when taking care of your kitchen drain. Plumbing problems can easily develop if your kitchen drain is not treated the right way. By getting a better plan for maintaining your drain under control, it should be easier for you to keep your drain from bearing with annoying clogs.